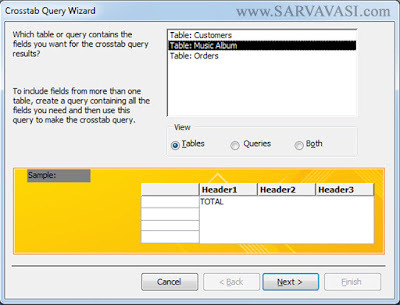 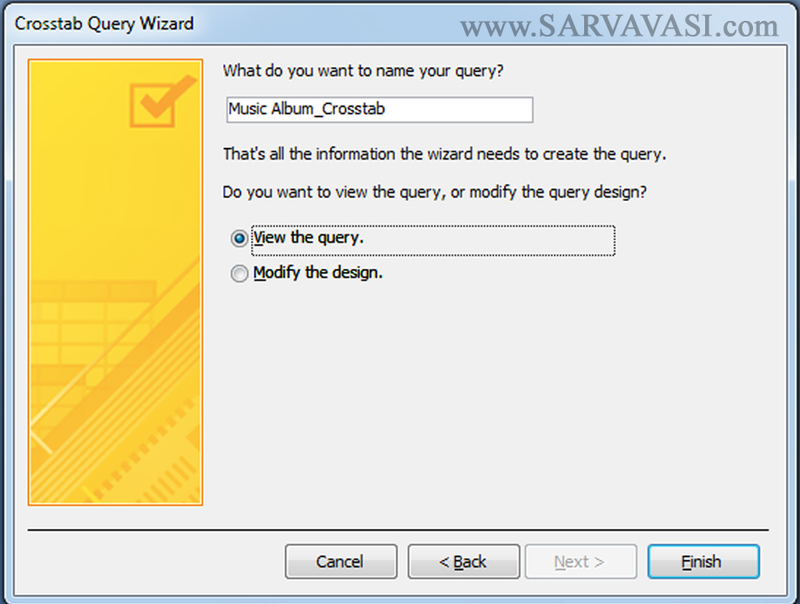 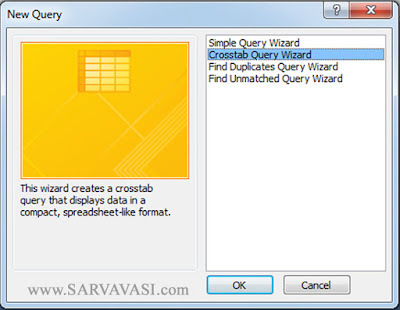 This wizard creates a crosstab query that displays data in a compact, Spreadsheet-like format. 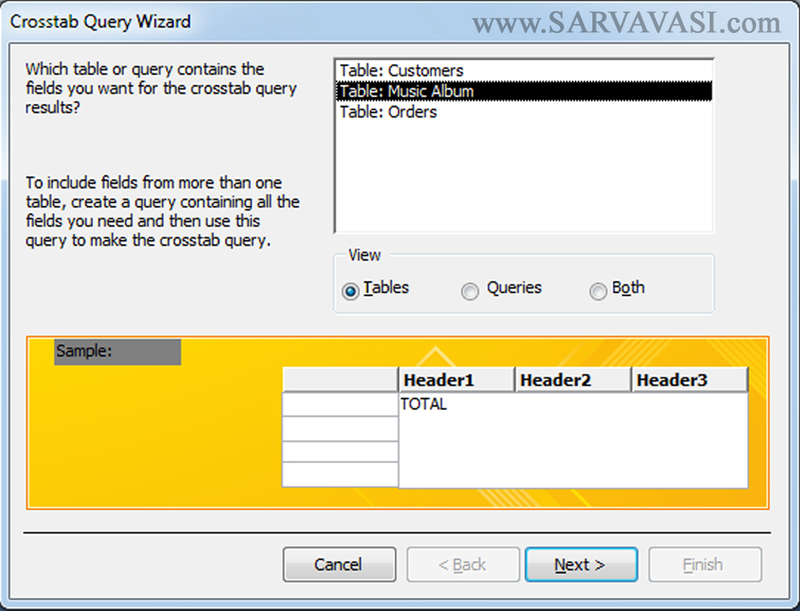 Create the table based on below format. 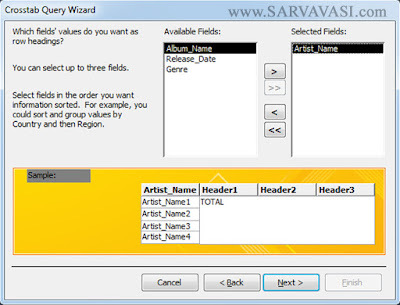 Select the field/s that you want to be row headings. (You can select up to three fields. 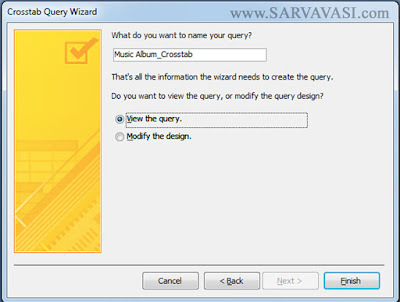 However, in this example, we only select one. 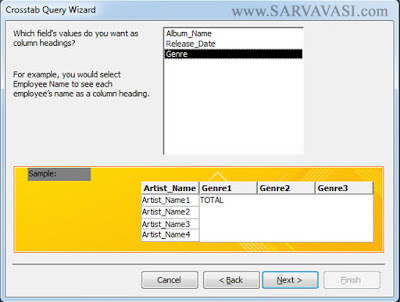 (Artist_Name)) . 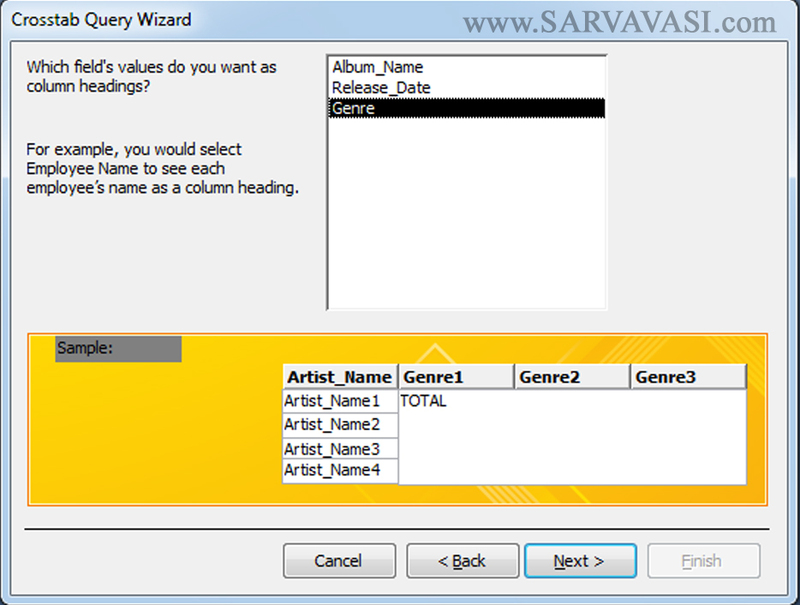 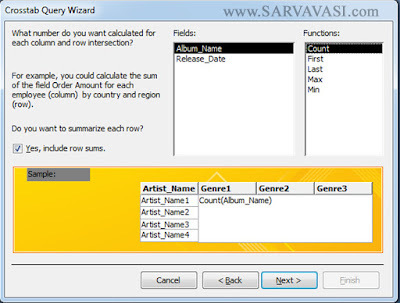 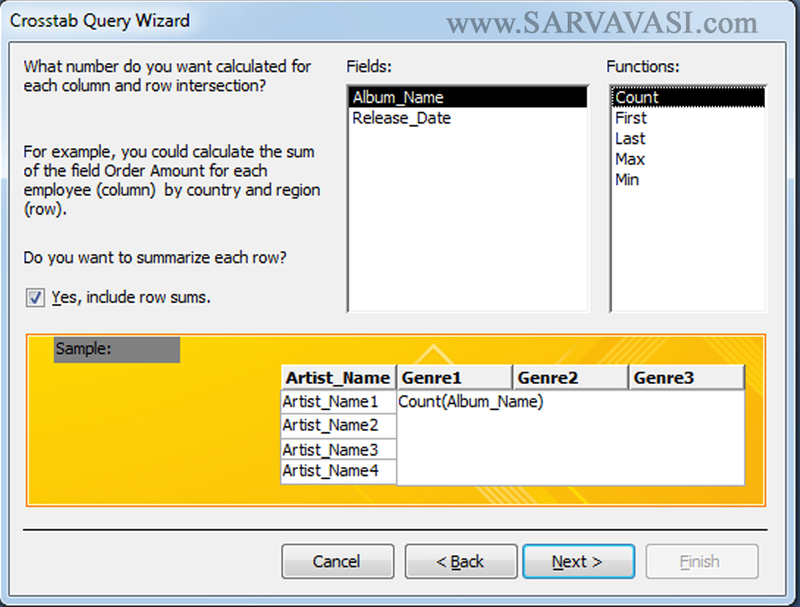 Select the Data Field and Function (Example : Field Name : Album_Name, Function :Count).